Lake Batur is the other side of Bali. It is the opposite of the popular images of Bali such as beaches, white sand and the sun. What you will meet in Lake Batur is the cool air, serene atmosphere, picturesque scenery and towering mountains. 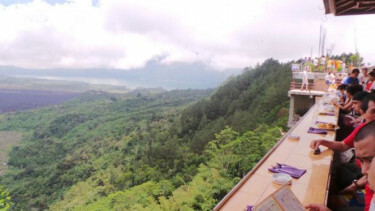 Lake Batur is located in the famous Kintamani area. Let’s find out the pleasant things to do in Lake Batur Bali..! Temple Pura Ulun Danu Batur is an icon of Lake Batur. The pictures of this temple often appear in tourist brochures. Its beauty invites the curiosity of tourists. Temple Pura Ulun Danu Batur is the second most important temple after Besakih Temple. The temple is built to honor Dewi Batari Ulun Danu, the Goddess of river and lake. Actually Pura Ulun Danu Batur is a temple complex consisting of 9 Hindu temples. Keep in mind that there are some parts of the temple that are forbidden to visitors. If you love temple tour, you should stop by Lake Beratan in Bedugul. You can see Temple Pura Ulun Danu Beratan, in addition to other interesting things to do in Bedugul Bali. Lake Batur inarguably has breathtaking views. The cool air and serene atmosphere make visitors happy to linger here. Surrounded by vegetable and fruit plantations, everyone can see that Lake Batur is an oasis for the lives of the villagers. 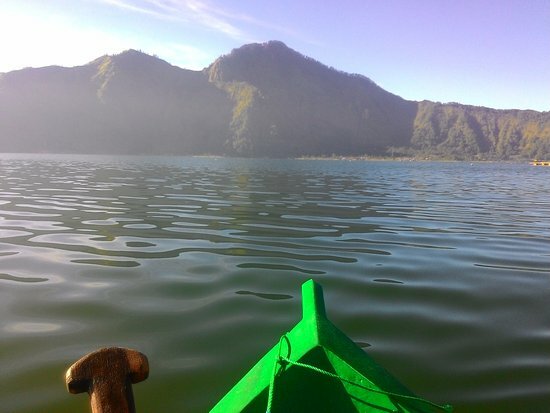 If you want to touch Lake Batur, you can join the canoe tour organized by the tour agency. Or you can rent a boat to get around the lake. Fishing while gazing the lake can also be a fun activity. Lake Batur is situated at the foot of Mount Batur. Balinese people regard Mount Batur as the second holiest mountain after Mount Agung in Karangasem. Since Mount Batur looks so close to the eye, you have to take the time to conquer it. Climbing from the nearest village to the top of the mountain takes about two hours. You should start climbing before 4 am so you can see the beauty of the sunrise from the summit of Mount Batur. 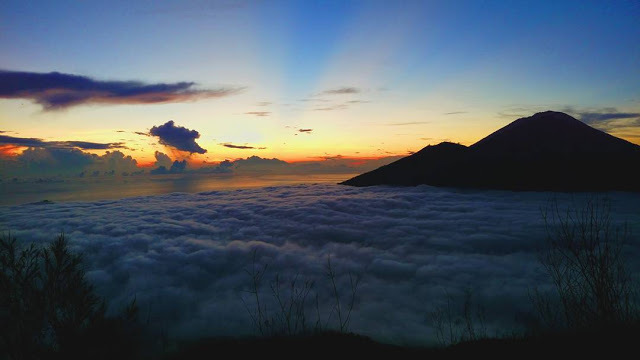 By the way, Mount Agung also has amazing sunrise view. So why don’t you come to Karang Asem. 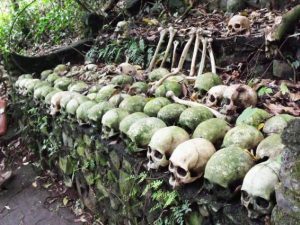 In addition to visiting Mount Agung, there are many things to do in Karangasem Bali. Village Trunyan, located on the east side of Lake Batur, is one of the oldest villages in Bali. Presumably there were ancestors of Balinese people who came from Village Trunyan. 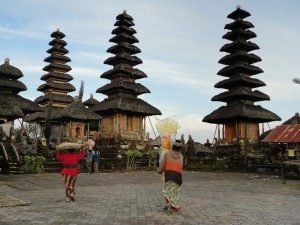 The village has existed long before Hindu teachings spread in Bali. The unique thing about Village Trunyan is its funeral ritual. Here the corpses are not buried or burned. The corpses are placed under a banyan tree covered with rattan. The banyan tree will obscure the smell of rotting corpses. The birds and wild animals will then eat the corpse. The people of Village Trunyan believe birds will bring the soul of the deceased to heaven. Mount Batur is classified as an active volcano. The last eruption occurred in 1926 which destroyed the surrounding villages and killed thousands of its inhabitants. Nevertheless, Balinese people still consider Mount Batur is sacred and brings prosperity. Since it is still active, Mount Batur gives its heat to the spring. The hot springs are used by local businessmen to run the Toya Bungkah Hot Springs. Take time to soak in Toya Bungkah Hot Springs. 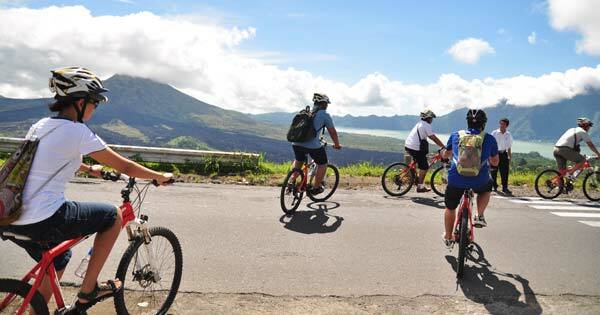 Besides relaxing the aching muscles, you will also be entertained with the beautiful view of Lake Batur. Anyway, if you want to soak at a place with traditional ambiance, try Banjar Hot Spring in Singaraja. It is one of fun things to do in Singaraja Bali. If you want to see and feel the everyday life of Balinese people, come to Kintamani Market. 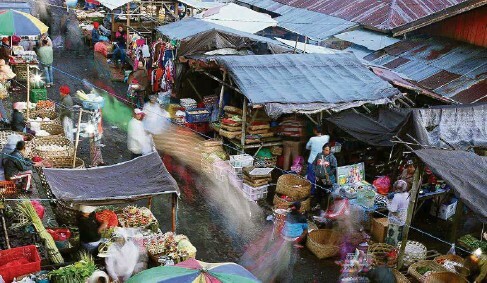 This traditional market is Kintamani’s heart. People search for their daily needs here, from groceries to clothes, from meat to coffee. As with any other traditional markets, some are negotiable and some are not. Groceries, such as rice, eggs, meat and sugar, are usually non-negotiable. But other items, such as fruit, toys and clothes, can be bargained. Shopping at Kintamani Market is one of adventurous things to do in Kintamani Bali. It’s a pity if you just enjoy the beauty of Lake Batur from one side. Join the cycling tour organized by tour bureau. You will be invited to see the beauty of Lake Batur from various angles. The cool weather will make your trip comfortable. You can sense the daily life of Balinese people up close and personal. And of course you will have the opportunity to stop at the best stalls to taste typical Balinese food. 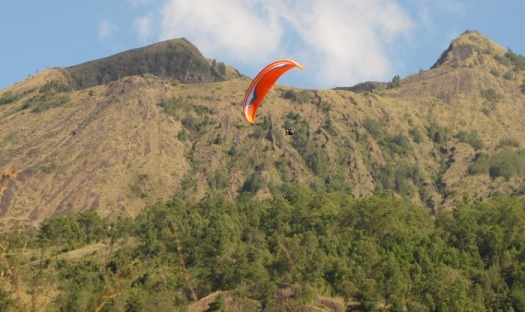 The best way to enjoy the beauty of Lake Batur is from the air. In addition to seeing the scenery, you can feel the fresh air hit your body. With birds-eye view, you will certainly have amazing photos. Paragliding flight is usually about 15 minutes. If you want to give it a try, just contact the tour bureau. Or you can google to find the best paragliding operator that fits your needs. Having lunch while looking at the beauty of Lake Batur is a luxury. So, do not miss that opportunity. 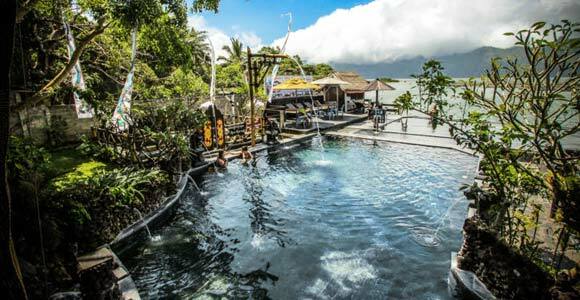 There are several restaurants around Lake Batur that you can choose from. They serve a variety of menus. Indonesian food, Western food, Chinese food. Most restaurants serve a buffet. If you are on a shoestring budget, you can stop at a stall to enjoy light meal such as meatballs and noodle soup. The land around Mount Batur is fertile. Therefore the locals plant it with various vegetables and fruits. In addition, along the road to Lake Batur you can see a row of orange plantations. Kintamani orange is a must-have souvenir when you visit Lake Batur. It’s easy to get it. You can buy it at fruit vendors on the roadside. But brave yourself to haggle. Remember, there is no such a fixed price. Well, now you have the list of pleasant things to do in Lake Batur Bali. You should try some of them so you will have unforgettable moments during your time in Lake Batur. Plus lots of beautiful pictures to show off. Let’s visit Lake Batur..!